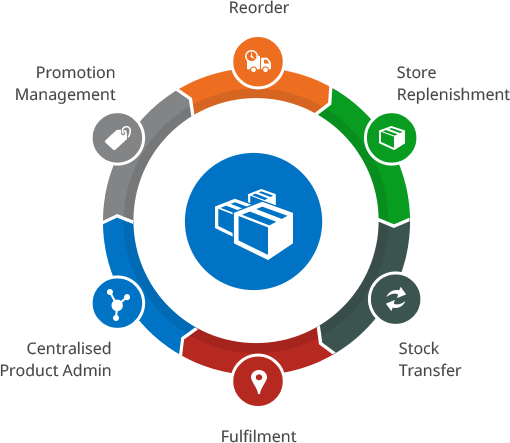 Savvy IMS Software is the universal program for Inventory Control & Materials Management Software from simple invoicing to complex inventory control system designed specially to meet the requirements of small and medium sized enterprises(SME). Savvy IMS is an intuitive, easy to use, robust , multi-user inventory business management system and accounting software that includes inventory, customer management, vendor management comes with extensive reporting tools. Also software could be handled from multiple location. Improve inventory tracking and automatically update stock levels when sales and purchases are made. Out-of-stock situations can result in loss of revenue and disappointed customers. That’s why it’s so important to manage inventory levels and ensure that reorders are made on time. Managing multiple locations is an additional challenge for some businesses. Each product can be edited to include information such as image, variants, SKU code, barcode, supplier code, color, size, weight, buy ;price, wholesale price, retail price, sellable option, taxable option, description, notes. Each product can contain different variants including weight, size and color. Composite variants & product kitting. Define groups of items that are sold as one unit. Stock on hand syncs with sales orders. Stock on hand syncs with received purchase orders.